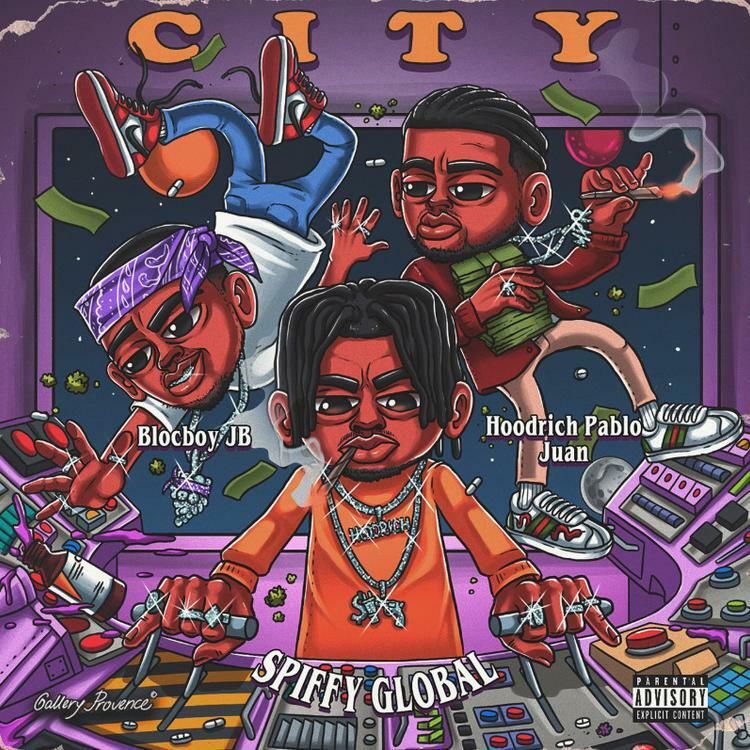 Hoodrich Pablo Juan & Blocboy JB Team Up On Spiffy Global's "In The City"
Home>New Songs>Spiffy Global Songs> Hoodrich Pablo Juan & Blocboy JB Team Up On Spiffy Global's "In The City"
Spiffy Global unites BlocBoy JB and Hoodrich Pablo Juan on their latest collab. BlocBoy JB and Hoodrich Pablo Juan have collaborated on a few occasions, proving themselves to be a great duo on wax. 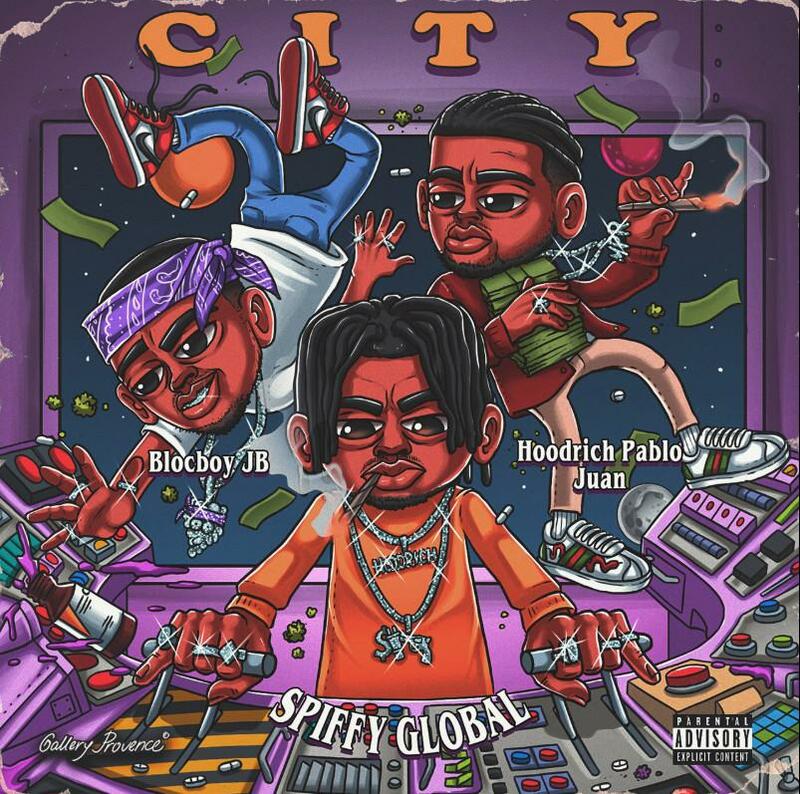 Now, Spiffy Global has reunited BlocBoy JB and Hoodrich Pablo Juan for their latest collab, "In The City." Spiffy Global was supposed to drop his upcoming project, Only Us but unfortunately, it was pushed back to a new date. Spiffy dropped off his new single, "In The City" earlier today to hold fans over until he announces a new date for his upcoming project. The track features BlocBoy JB and Hoodrich Pablo Juan who both appear twice on the project. Spiffy Global delivers a massive horn-based, trunk rattling instrumental for the two rappers to deliver braggadocious street bars over. Peep Spiffy Global's new track below. Keep your eyes peeled for Only Us. Slowthai Drops Off New Track "Gorgeous"
SONGS Hoodrich Pablo Juan & Blocboy JB Team Up On Spiffy Global's "In The City"